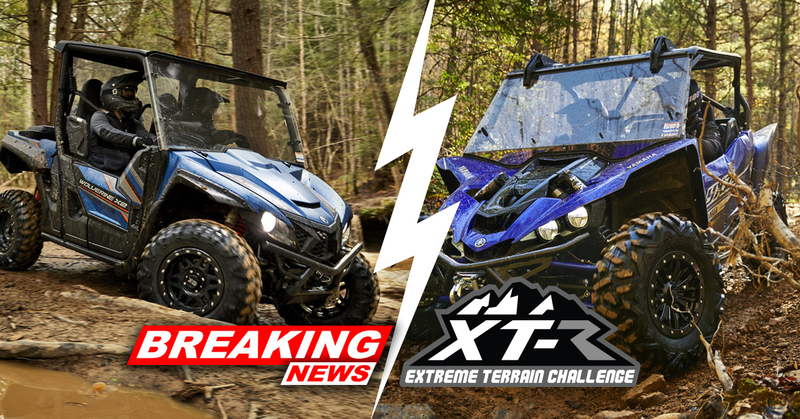 MARIETTA, Ga. – October 24, 2018 – Yamaha Motor Corp., USA, announces news on the upcoming Yamaha XTReme Terrain Challenge, an all-new off-roading adventure for Yamaha YXZ1000R and Wolverine Side-by-Side (SxS) owners. First, Yamalube – Yamaha’s exclusive line of premier engine oils, lubricants and care products – is coming on as a sponsor to cover the $100 entry fee for all XTR Challenge participants. And following the ride, country music star Josh Gracin will headline a concert for all attendees to enjoy. The inaugural Yamaha XTReme Terrain Challenge is scheduled for November 16 to 18, at the historic Loretta Lynn Ranch in Hurricane Mills, Tennessee. XTR Challenge entries are limited in each YXZ and Wolverine Side-by-Side class, and participants may register online now at XTRemeTerrainChallenge.com. Yamalube is the only oil built around the unique demands, operating characteristics, and applications of Yamaha engines. Collaborating with Yamaha engine designers, Yamalube’s global oil engineers formulate each oil from scratch to be engine- and application-specific, for ultimate performance and reliability. Furthering Yamaha’s commitment to a cleaner environment, Yamalube oils meet or exceed industry standards, such as the Japanese Automotive Standards Organization (JASO) MA. More information on Yamalube products, along with maintenance tips, can be found at Yamalube.com. The Yamaha XTReme Terrain Challenge invites YXZ1000R and Wolverine Side-by-Side owners to enjoy a unique off-road event, with drivers and their co-pilot tackling an unmarked, GPS-navigated route through tight, technical trails, including mud bog and rock crawling sections requiring winching (with an optional route around). Teams finishing the course will earn a ShopYamaha.com gift card valued at $100. Those completing all obstacles and the course are entered to win a grand prize, with the winner announced by random drawing during the closing ceremonies. In addition to a swag bag and dinner Friday and Saturday, entrants will receive raffle tickets for various prizes, as well as an exclusive post-event concert headlined by country music star Josh Gracin. Yamaha Motor Corp., USA (YMUS), is a recognized leader in the powersports industry. The company''s ever-expanding product offerings include Motorcycles and Scooters, ATV and Side-by-Side vehicles, Snowmobiles, Outboard Motors, WaveRunner Personal Watercraft, Boats, Outdoor Power Equipment, Power Assist Bicycles, Golf Cars, Power Assist Wheelchair Systems, Surface Mount Technology (SMT) Machines, Unmanned Helicopters, Accessories, Apparel, and much more. YMUS products are sold through a nationwide network of distributors and dealers in the United States. YMUS has a corporate office in Cypress, California, two corporate offices in Georgia, facilities in Wisconsin and Alabama, as well as factory operations in Tennessee and Georgia. Further U.S.-based Yamaha companies include Skeeter Boats (Texas), G3 Boats (Missouri), Bennet Marine (Florida), Yamaha Precision Propeller (Indiana), and Kracor, Inc. (Wisconsin).